Located southeast of North Bergen and across the Hudson River from New York City’s Upper West Side, the community of West New York, New Jersey is nestled in the New Jersey Palisades and gives residents unparalleled views of the waterfront, downtown and New York City. 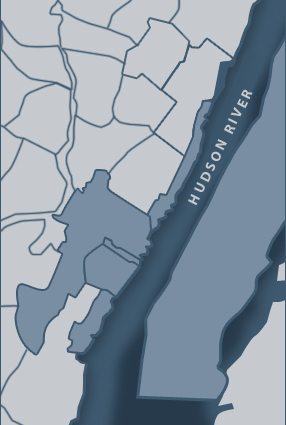 In fact, because West New York is at the highest elevation point in all of Hudson County, buyers from across the region flock to West New York to take advantage of the area’s beautiful natural landscape and proximity to the city. Those who want the best of suburban and urban living should not miss West New York. When you choose to live in West New York, New Jersey, you don’t have to go a long way to find something exciting to do. Throughout the community you’ll find numerous shops and boutiques, as well as world-class restaurants and dining options. And, don’t forget New York’s impressive array of entertainment options including movies, performances, clubs and more are just a few moments away. If it’s the city that calls you, you can commute to New York City quite easily, using the George Washington Bridge or the Lincoln Tunnel. Public transportation also offers residents a network of bus stations and more. Because more and more families and professionals are looking to escape the hustle and bustle of the city at the end of the day, West New York real estate is growing in popularity. Families also enjoy one of the area’s top school districts. In fact, the West New York School District is one of 31 Abbot districts in the state, which offer free preschool for three and four year olds, as well as ensuring that schools receive equal state funding and offering the same advantages as wealthier school districts. Six K-6 elementary schools service the community, while West New York Middle School and Memorial High School handle grades 7 through 12. 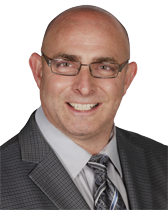 When you’re ready to learn more about living in West New York, New Jersey, local real estate professional Scott Selleck welcomes you to contact him to discuss your specific real estate needs. Should you have any questions or would like to schedule a tour of the area, please do not hesitate to contact him today. He looks forward to hearing from you and to helping you find the West New York home or condominium that best suits your needs. Connect today!